Private GP Services – We are a Private Medical Clinic offering same day appointments in Canary Wharf. As we are located right in the shopping centre we can save you time and money, you do not need to spend hours on the phone trying to make an appointment or take half a day off work. Most consultations can be completed in 15 minutes and we can do everything your NHS GP can do, just faster and with considerably less hassle. We are conveniently located in the North Colonnade of Canary Wharf shopping mall. We are open daily from Monday to Friday. 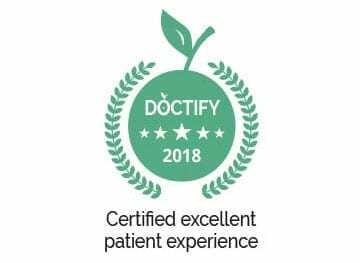 Please feel free to see what our patients think of our services (Doctify Reviews) or Google reviews at https://bit.ly/2td7cNI. All of our doctors are on the GP register and have an annual appraisal with the NHS and myself. Our doctors adhere strictly to clinical guidelines (NICE/BASHH) and practice evidence based medicine. We do not prescribe controlled drugs. Private prescriptions, if clinically indicated, are included in the price of the consultation. If you have more complex health issues, or just want more time with the doctor, we offer extended 30 min or 1 hour consultations. Consultations can be booked directly online or by calling or emailing us. We have male and female doctors. If you would like a specific doctor it is best to call the clinic to check their availability. Private GP services are provided by Dr Wayne Cottrell who is also a Sexual Health Doctor in Canary Wharf. Let us help you today!